Cold Pressed. First Choice. Natural Living. Organically Grown. Skin Care. Imperial Dragonâ ¢ Sesame Seed Oil.100% pure. An oriental seasoning oil.Net wt 5 fl oz (150 ml). NEW! USDA Certified Organic SESAME OIL FOR OIL PULLING + Skincare. HUGE 16 oz. HOW-TO OIL-PULL GUIDE URL on Bottle. Holistic Practice. Whiter Teeth & Healthy Gums, Improved Wellness. DID YOU KNOW: 80% OF AMERICANS HAVE GUM DISEASE (says the Surgeon General), AND 65% OF THOSE WITH GUM DISEASE ARE AT RISK OF SERIOUS DISEASES (HEART, LUNG, PANCREAS, ETC.) The CDC states that Oral diseases and disorders affect health & well-being through life (Centers for Disease Control & Prevention). There are over 100 Million bacteria in just one drop of saliva! Microorganisms reside not only on our teeth but also on our gums, tongue, cheeks and lips. DENTAL CARE (from cleaning of cavities and more serious problems) IS A MAJOR ONGOING EXPENSE FOR AMERICANS. TOOTH DECAY IS THE 2ND MOST COMMON DISEASE AFTER THE COMMON COLD. OIL PULLING IS A NATURAL REMEDY! IT GETS THE BACTERIA OUT THAT CAUSES THE PROBLEMS and IMPROVES ORAL HEALTH!USDA Certified, our Sesame Seed Oil is pure and natural. It comes in a Large and Generous 16 ounce bottle! It was especially chosen for the Healthy practice of OIL PULLING, yet can be used as a moisturizer and is Culinary Grade. Oil Pulling has been around for 5000 years and is now becoming rediscovered. Use on a Daily Basis for wellness INSTRUCTIONS FOUND ON OUR WEBSITE - URL ON BOTTLE! It is easy - and you feel great after using it. What to expect? -Smoother, Whiter Teeth -Healthier Gums & Mouth -Fresher Breath -More Energy (taking the bacteria out gives your lymphatic system a break! -Can help sinus problems, Could Reduce Risk of Diseases in the Body Try it today; there is a 100% Customer Satisfaction Guarantee. DISCOVER THE NATURAL HEALING POWER OIL PULLING WITH THE AYURVEDIC OIL OF CHOICE THROUGH THE CENTURIES, SESAME! BUY TODAY! OUR MOTTO: MAKE HEALTHY CHOICES, RESPECT YOUR BODY, LOVE NATURE. Kadoya Brand Sesame Oil 56 Oz. 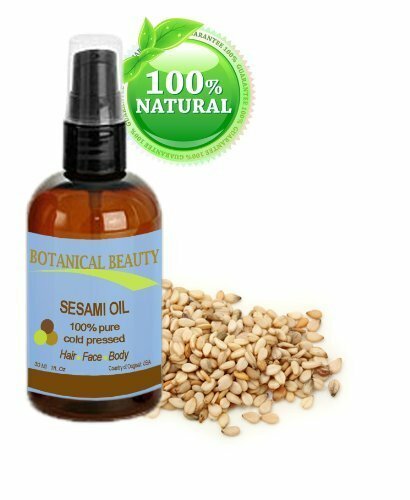 Sesame Carrier Oil is rich in vitamins E and B, and in minerals such as calcium, magnesium and phosphorus. 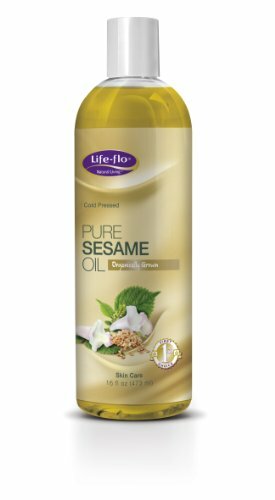 Sesame oil is rich in essential fatty acids and helps to maintain the integrity of skin tissue while restructuring and moisturizing the skin. Effectively repairs damaged hair and hair loss. When massaged into the scalp, it enhances the hair's volume, shine, and strength. It is an excellent emollient, and if used in dilution with other carrier oils, is a popular massage and aromatherapy carrier oil. It will not stain sheets. 100% pure black sesame oil. 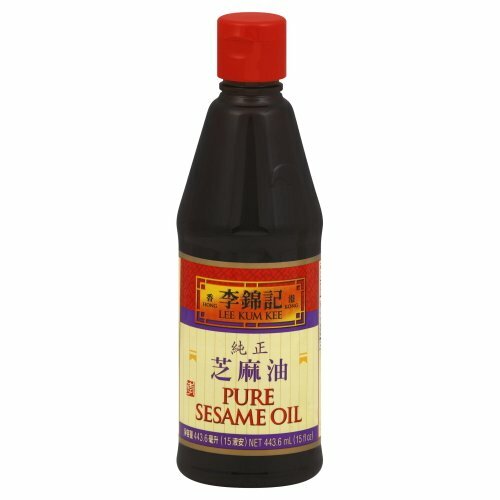 Enjoy Lee Kum Kee Pure Sesame Oil. Made From The Best Roasted Sesame Seeds, This Sesame Oil Is Carefully Processed To Retain Strong Sesame Flavor And Is Indispensable In Any Dishes. To Accent Overall Taste, Add A Few Dashes To All Dishes Just Before Serving Or In Marinating Meat. (Note: Description is informational only. Please refer to ingredients label on product prior to use and address any health questions to your Health Professional prior to use. Shirakiku 100% pure sesame oil 327ml. 11oz. Bottle is a product of Kadoya Japan. Kadoya - Pure Sesame Oil 5.5 Oz. 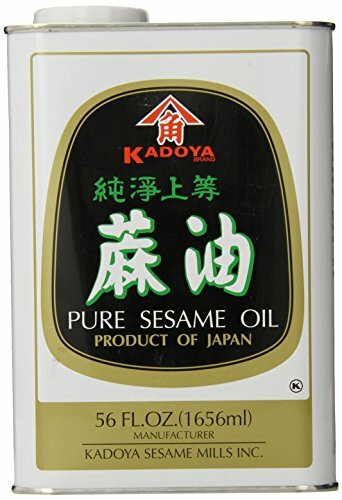 Kadoya - pure sesame oil 5.5-oz. is made from sesame seeds carefully selected. We roast and crush them softly for producing its special rich aroma. Hain Pure Food Company, the original core business of the current Hain Celestial Group, continues to have a great influence over the group's current business. Because today, The Hain Celestial Group is still based on the principles of which Hain Pure Food Co. was originally founded: a commitment to producing and selling high quality, healthy foods made from the finest all-natural ingredients. This tradition has persisted proudly for over 76 incredible years, providing wholesome and delicious products in their natural pure form without the use of artificial colors, flavors or preservatives that alter foods' natural qualities...a fact that has established Hain Pure Food Co. as the premium provider of the all-natural products consumers want with the full flavor nature intended. 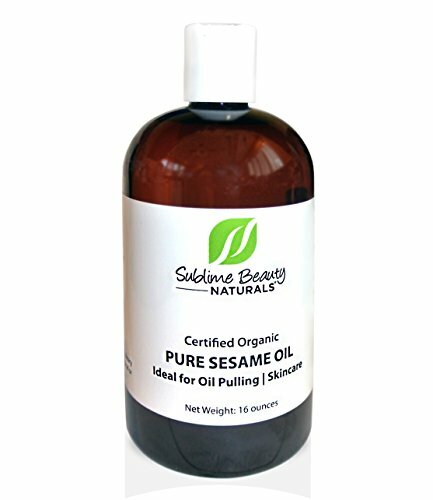 pure sesame oil is truly a versatile oil with numerous benefits from culinary to cosmetics. It's a nourishing oil, one of the most widely used in ayurvedic skin care and has warming and enriching properties that make it popular in massage therapy and aromatherapy for softening and moisturizing skin. Cold pressed and food grade.